$325/person includes 6 meals, lodging at the Ohio Star Retreat Center, and all curriculum. 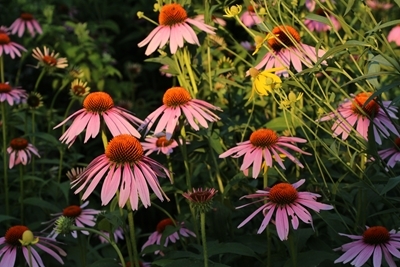 August BLOOMS in Adams County, Ohio, one of the East’s prairie capitals. This is a weekend field course studying the relic prairies of Adams County, Ohio. 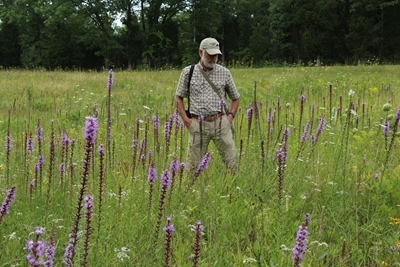 These unique prairie openings hold the forest at bay, and will be awash with color during this course, blooming with everything from sunflowers to blazing stars, milkweeds to rattlesnake master, partridge peas to warm season grasses. This diverse landscape gives refuge to many species of rare plants, which in turn supports uncommon insects and life forms not found elsewhere in the East. We will be in the field the entire weekend – learning and immersed in this rare and intriguing natural community. What is the differences between short grass and tall grass prairies both in species composition and the creative forces that built and maintain them? What geologic history led to these distinctive plant communities? Are they extensions of western prairies, the upward thrust of the bluegrass region into Ohio, unique plant assemblages to this region alone, or a little of all three? Does fire have role in prairie history, prairie-building, and prairie preservation? 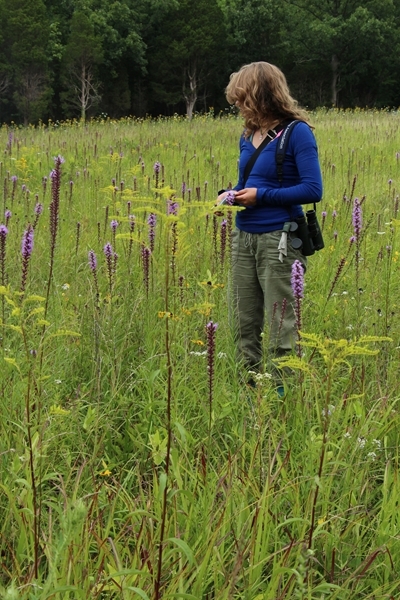 What are the most pressing prairie conservation concerns? What forces direct the slow dance and the boundary tension between forests and prairies? 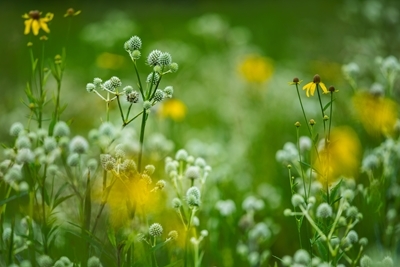 What influential role is played by soil conditions and weather in the struggle between the grasses, sedges, flowering plants, and the woody plants that press in from the edges of prairie openings. How does one identify the distinctive grasses of the prairie and the common, signature, and rare botanical prairie forbes? What are the signature woody trees and shrubs found in and near prairie openings and how can they be identified? Liatris/Blazing Stars: spicata, scaley squamosa, cylindrica. 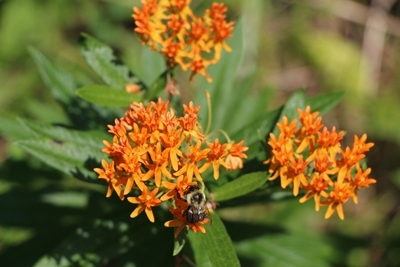 Milkweeds: climbing, swamp, butterfly, whorled, green, purple, spider. Silphiums: cup plant, prairie dock, whorled rosinweed. 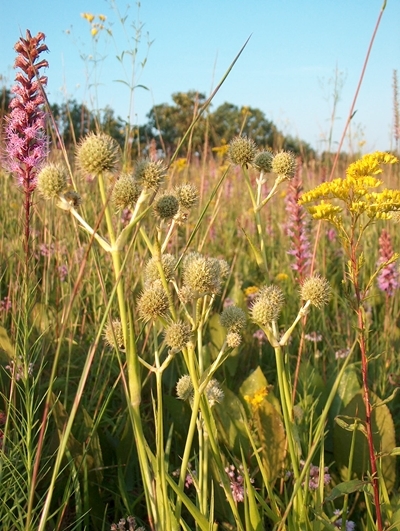 Unusual showy plants of prairies: rattlesnake master, false agave, pink milkwort, bluehearts. Pea family: scurf pea, sensitive plants, senna, partridge pea. Orchid family – Ladies tresses.